This quick history of the rise, fall and rise again of the Agit-prop Committee in the Socialist Workers over the last three years is prompted by two agit-prop objections to the first snore-worthy issue of Wedge. The first is the stated perspective that there are the editorial “we”, an elite of cultural revolutionaries, and the excruciating economistic berks who lumber along in the less enlightened left, obsessed with tedious, uncreative things like strikes and demos, badly in need of the elite’s expertise. The second is the timeless, academic tone of your journal, too much like a left alternative to Red Letters, when what’s urgently needed is some forum for reporting and sharing the practical experience we do possess of cultural action. I like to read a trenchant critique of late David Sequiros or a dialectical scrutiny of Walt Disney as much as the next person, and I especially enjoy the pleasingly irreverent cultural critique of North Americans like Georgakas, Baxendall, Buhle and the divine Rosemont, and great theory mags like Cineaste, Women and Film, middle-period Radical America and Cultural Correspondence. But there’s too many people making an academic living here in the UK on that scene anyway, and what we need is not another generation of tyros staring at the words “Art” and “Marxism”, trying to figure out some finished diagram of their relation, but a sharing of the half-wrought, human efforts so many of us have been making in different mediums since ’68 to get our revolutionary ideas across in new cultural-political forms. So, on to the saga of Arties v Hacks in SWP, or, more accurately, How does a modern grouping of conscious revolutionaries develop a policy towards art and propaganda? This interests me personally because I joined IS ten years ago, after disenchanting spells in the CP and SLL, because of an obituary of André Breton written by Ian Birchall in the journal International Socialism. Quite something, I thought: post-Trotskyists who liked Surrealism and had 300 members into the bargain. The electrician who joined with me turned out to have been bribed with free saxophone lessons after meetings, and IS even then had quite a distinctive graphic flair and the only half-way funny cartoonist on the left. But it was only in 1975, on the initiative of Roland Muldoon of CAST and the proletariat’s Oliver, that we set up an informal committee to co-ordinate agit-prop work. Roland, with pre-Women’s Movement Sheila Rowbotham and pre-playwright John Hoyland, had set up the original agit-prop office in the acid-dropped flurry of the May Events. Psychedelia v Ian Smith at the Roundhouse, the Black Dwarf Christmas Party. I’d always been involved a weird kind of headshop Marxism in the underground press as well as trying to liven up the ‘Arts’ coverage of Socialist Worker. Nigel Fountain, who has a world record of working on failed left culture magazines from Idiot International to Street Life, Roger Huddle, SW’s designer, Pete Marsden, the paper’s infintely patient sub, and Toni of IS Books were other supporters of the ‘post-electronic faction’, as the Agit-Prop Committee got labelled. Our first outing was entrepreneured by Roland. Karmitz’s reconstruction of a women’s textile factory occupation, the film Blow by Blow, was a gift: four stars for the subject, crisply edited, topical, a sensitivity to feminist ideas not bad for the times and in colour. “We’ll just have to keep quiet about the sub-titles”, counselled Muldoon. We tried it on an after-conference audience in St Pancras Town Hall, acoustics as bad as ever, bar worse, mistake to precede it with too long Chile movie. Still people loved it, cheering and booing along – and we made money. One month later, we sent it out, on hire from The Other Cinema on a tour of Britain, from Glasgow to Southampton with IS stops on the way. The heroic projectionist was his own driver, cashier, electrician, and often made a speech at the end. We organised posters, tickets and advance publicity from London, and depended on local enthusiasm to carry it through. High spot of that tour was a hurriedly arranged showing of the film to an audience of women strikers whose dispute has many parallels with the film, in a Salford GEC factory. Our next tour was with Berwick St Film Collective’s Ireland: Behind the Wire, not an ‘easy’ movie and with some rather indistinct sound which, we discovered all too easily, gets lost in a tall, bare meeting room. But the film was harrowingly authentic, especially the testimonies of the internees and interrogees and the film-maker had clearly won the trust of their subjects. This time the tour was broken up in stages and, on the Yorkshire leg, where I was doing the projecting, we got large and very attentive audiences. I was especially impressed by the large number of Irish people in the audience, often whole families, nodding in agreement with the film. An important feature of this still very subversive film is that it made its own political analysis, and a good one, as it went along. We later ran into problems or rather ran out of films when we toured movies whose politics we had reservations about. Last Grave in Dimbaza is a solid but dated film and since we made a special effort on this tour to visit industrial areas where firms operated who were heavily involved in South Africa, we had to supplement the film with prepared speakers’ notes. Spain: Dreams and Nightmares, made by a retired American building worker, working through his own feelings about modern Spain and his memories of the civil War, in which he fought, has a good class line, but it’s got a pretty terrible account of the Civil War, so again we provided background material. Predictably on all our tours some idiotic hack would ring up in fury and complain that our films “didn’t have the right class line” and we were misleading the class … again. We’d explain that we didn’t have the resources to produce our own politically kosher films, even if this was possible or desirable, and that, for Chri’sake, we were involved in films to reach out to a wider political audience of the usual circle of the already converted and over-committed. We also tried local tours and specialist tours (I humped Cinema Action’s Miners Film on British Rail round the Yorkshire coalfield) and wrote a section for the IS Handbook on the practical problems of organising film shows. But Pete Marsden was virtually collapsing under the strain of being tour organiser as well as SW sub-editor. We succeeded in our first aim: taking left films to people who would never venture into arts cinema or college; and we’d established as SWP network of over 25 towns of people who had experience of setting up the venues. We’d done something to raise the politicos’ consciousness about film as a weapon; and we’d tackled the mundane but absolutely vital problem of distribution. Otherwise, as The Other Cinema debacle has demonstrated (see elsewhere in this issue of Wedge) you can show leftist films to lefties in the metropolis and still not break into new audiences. One regret is that we didn’t link in with the Newsreel Collective, probably because we (wrongly?) regarded them as a Big Flame front, although their more topical work would have brilliant as a sort of Marxist Pathe News, preceding their big movie. We did have some success showing the Portugal newsreel alongside Spain: Dreams and Nightmares. The national tours served their purpose, enough people got the message to set up their own shows and there are not two SWP-based cinema clubs. This first national Agitprop meeting wants an end to drab socials, colourless meetings, boring education, unconvincing education and bad jokes by uncovering and organising the creative potential of our members and supporters as designers, printers, sound recordists, actors, photographers and musicians. We also had grand plans to set up self-financing local agit-prop resources centres and a million other things. A bulletin was started to co-ordinate work but only appeared once. People did things usually off their own bat and without our knowledge. In London, we organised tape-slide shows for political education; we started a cassette-hire service (SW Recordings) so that people could hear our popular and/or specialist speakers at their convenience (which we now sell); we operated an agi-prop enquiries service at the Finsbury Park Bookshop which was itself trying to improve co-ordination between the nine or ten SWP-operated bookshops and trying to establish the ‘Bookmarx’ book club. We battered away at Socialist Worker, starting, for example, the highly successful ‘Under the Influence’ series, in which socialists recalled the books that had first converted them, and encouraging agit-proppers like Muldoon and O’Flynn to take on review columns and build on the strong arts coverage that Roger Protz had developed. Success here was not encouraging, partly out of sheer pressure on space, partly through a certain crassness among the political leadership (we thought). We organised benefits and concerts ad hoc. Roland put CAST back on the road – strictly roots – ignoring the scaling-up in size and cost that the broader left groups were entering, by reinstating the old, economical and highly mobile gymanstic style of the original Muggins shows. The group of designers at the SW printshop who turn out a prodigious amount of agitation design in political emergencies formed a group called ‘Red Wedge Graphics’ (not to be confused with your august journal) to try and push for more exciting design work. Red Wedge Graphics is a deliberate engima and contains many factions constantly feuding and demanding the suppression of their rivals’ work in best Agit-Prop tradition. One section, the Hot Pink tendency, the most fanatically pro-punk element are now working with the Tom Robinson Band. In its own anarchic way, punk has had a critical influence on our Agit Prop work, not only confirming many of our cultural ideas but fuelling Rock Against Racism, perhaps the best initiative by the ‘post-electronic tendency’. RAR was the gut reaction of Roger Huddle and Red Saunders the photographer and Kartoon Klown (who is not in the SWP) – who describe their street status as “ageing mods” – to Eric Clapton’s drunken racialist ramblings at a Brum concert. They wrote a letter of protest, signed by friends who could be reached on the phone, to the music press, announcing the existence of a campaigning organisation, Rock Against Racism. The reaction swamped them, not just from closet music freaks on the left but, more importantly, from literally thousands of kids who ‘Love Music And Hate Racism’, are sick of rich super-stars and bored with 90% of what the Left offers them. This is not time or the place for a full history of RAR but already there have been over 100 gigs, 20,000 badges, four issue of the political fanzine Temporary Hoarding selling out 5,000 copies a time, and just amazing new energy. If you’ve been to a RAR gig, you’ll know. I think its critical important is that it really is the first white anti-racialist initiative which has clicked with black youth, its medium is its message, and it fits and influences the punk rebellion. RAR deserves a lot of credit for getting the punks to come our so hard against the NF. For a while it looked as it it might easily go the other way. If Mayakovksy was alive today, says Patti Smith, he’d play in a rock band. 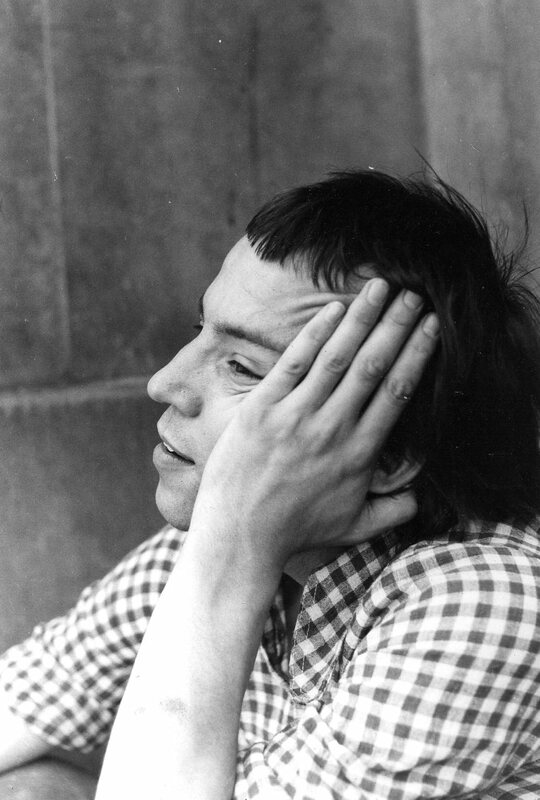 So maybe John Rotten out to go back to writing poetry, which he used to do very well when still at Kingsway FE college. Punk ironically led to the revival of the Agit Prop Bulletin when Lucy Toothpaste, feminist-punker and editor of the fanzine Jolt took it over and renamed it Rentamob. You can get it from 27 Clerkenwell Close, London E1, c/o Counteract, and it’s full of our current agit-prop ideas. Life inside these dreadful left-wing parties isn’t quite as dead as you seem to think. Great to read this. I’d like to find out more about the cultural legacy of the IS/SWP. Does anyone have a copy or Rentamob and the Agit Prop Bulletin? Are any of the debates around Red Wedge Graphics and the Hot Pink tendency available? Also, I’m guessing ‘Evans’ is Phil Evans, but which cartoonist is ‘Mackie’? Is there anything available which discusses the approach of the organisation to graphic design, perhaps detailed discussion of the work of Robin Fior, Pete Marsden etc. ?